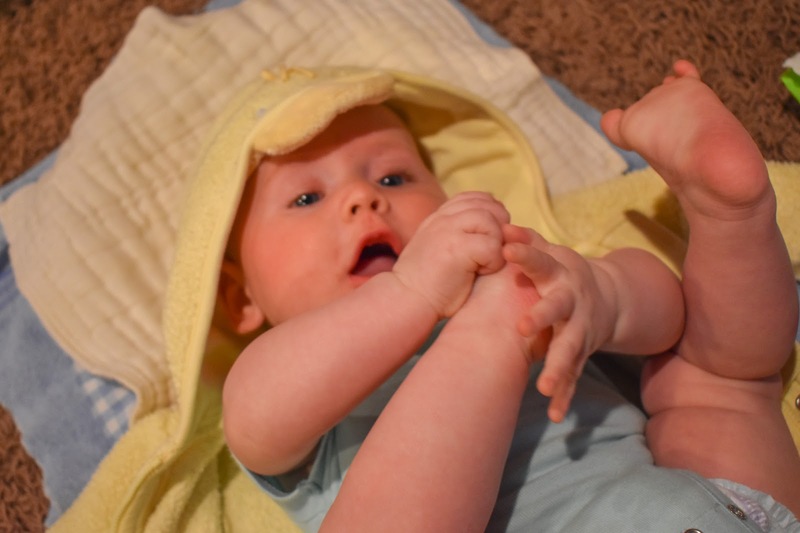 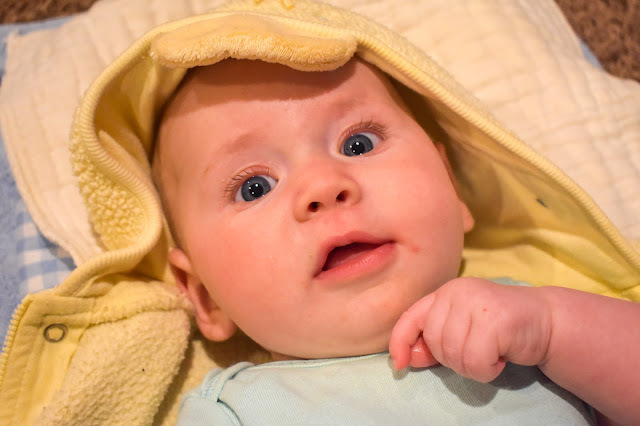 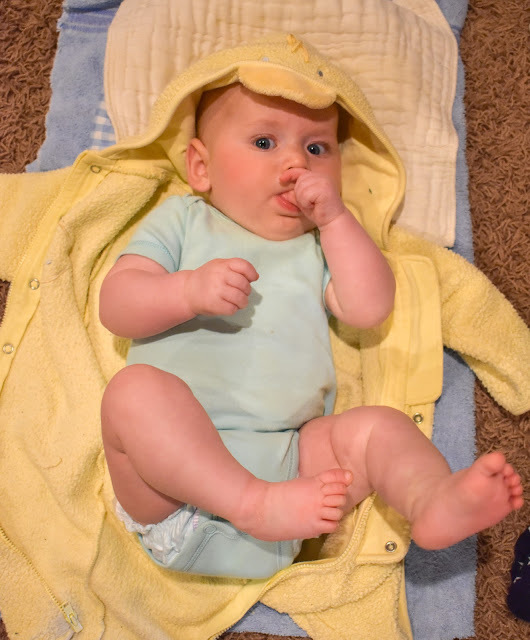 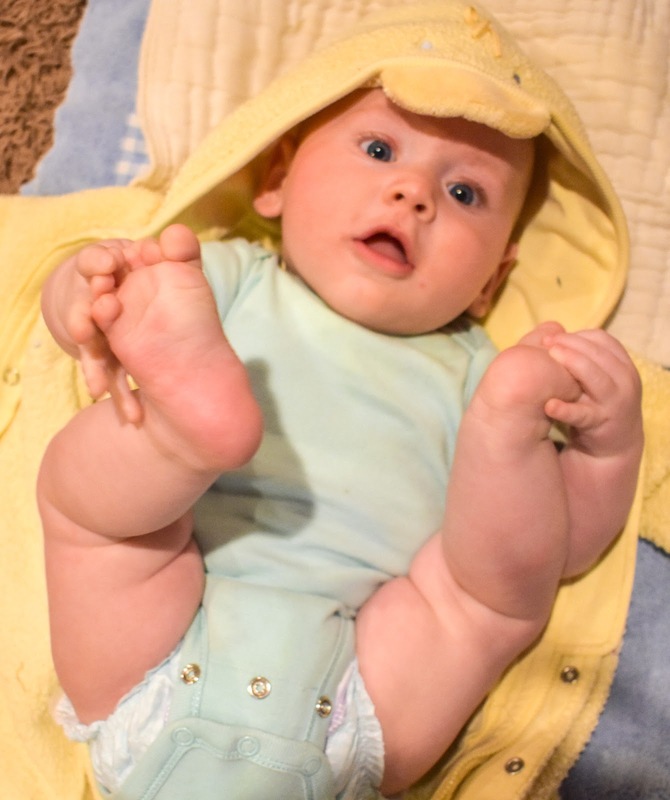 Alexander has discovered his toes and watching him play with them is the most darling thing! 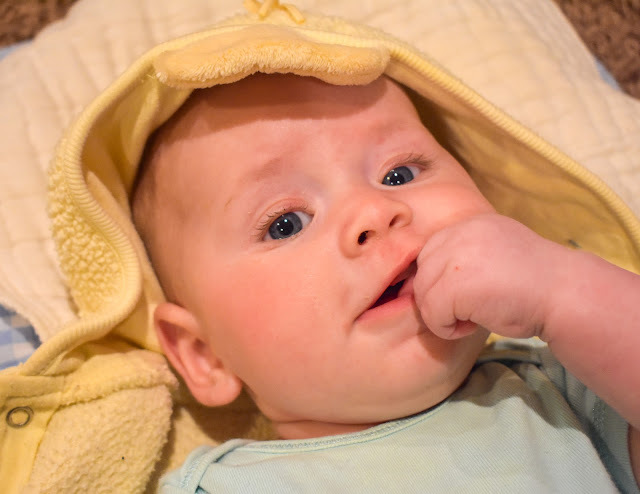 He's also been experimenting with his thumb, which is cute as well. 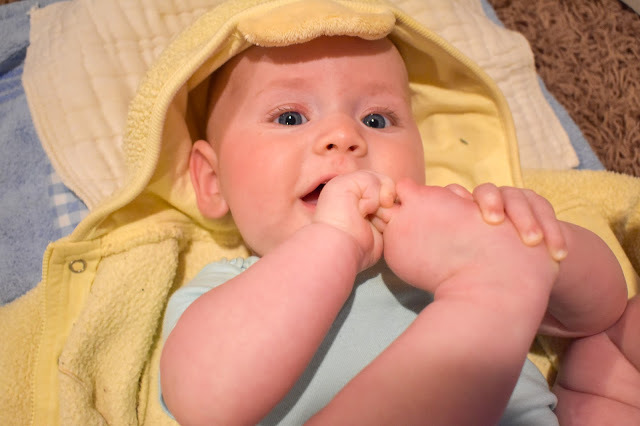 I don't know if he'll be a habitual thumb-sucker (but there's always hope).